Poler's logos remind me of the Grinch's arms or Muppets and weird stuff like that. On the tent bag it shows the dimensions of the tent in a design reminiscent of the tv show LOST. Like the plane crash people found a tent that was left over from the sixties. I got good and drunk and dumped the contents of the tent bag on the lawn. It didn't put itself together. Instead, I rolled it out and noticed that it was supposed to go together just like my MSR Hubba Hubba. Easy enough. 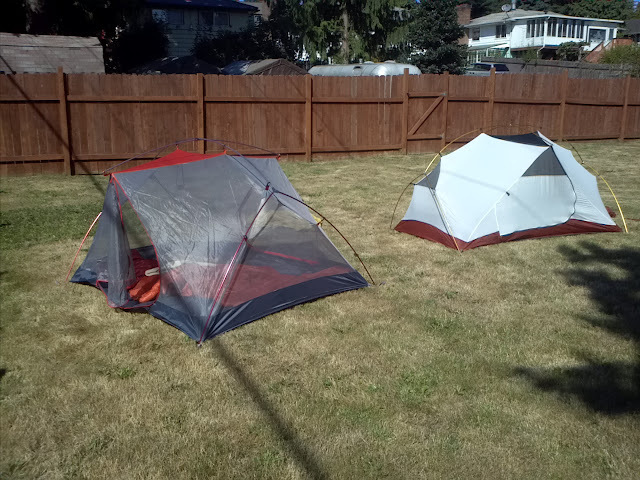 The double-"Y", single-pole design that both tents share is quite easy to pitch. 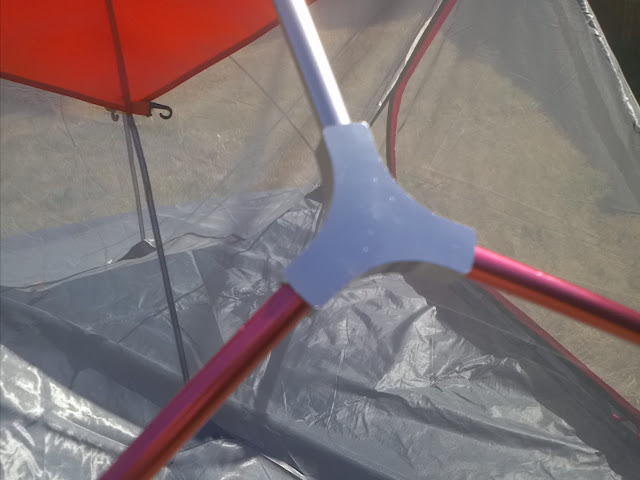 Just stake out the tent, flip the pole bundle together in like 12 seconds, put one side of the double "Y" into the holes, same for the other side, and clip the tent up onto the poles. Toss the rain fly over and attach it. Done. While the Poler 2 Man is no lightweight, it does offer an extra ten inches in width compared to the MSR Hubba Hubba. 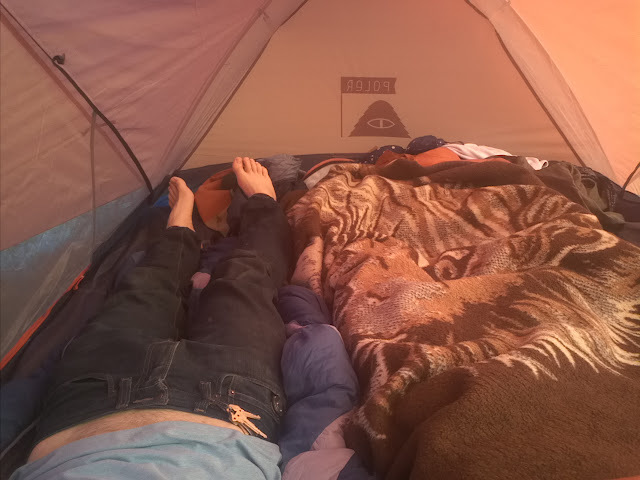 The extra space was really nice when sharing the tent with my girlfriend. I'm pretty sure that if my game was tight enough I could have fit one of her friends in there with us. Some of the details, like the loops that hold the doors open and the clips that attach the tent to the poles leave a little to be desired as far as design goes, but perform as they should. The rain fly is heavy. I think a good deal of the extra weight of the tent is in the difference in rain fly material. 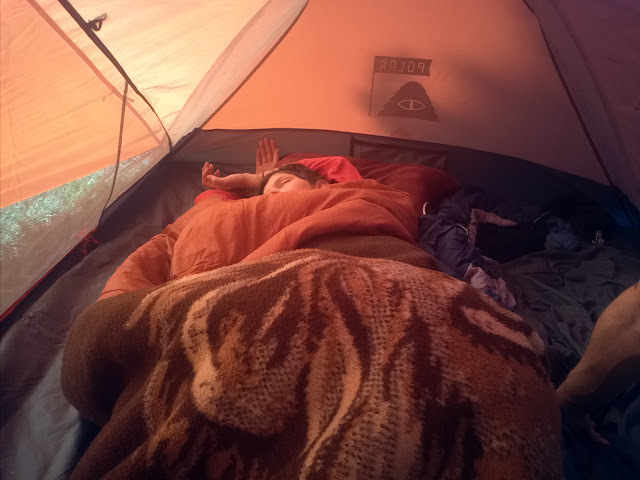 The eyeball-shaped window is nice, but if you're camping near some dirtbags, you might notice someone looking in on you while you're making the moves on your girlfriend and her friend. I'd rather have a shade for the window. It's a proven design that has worked well for many people and as long as you're interested in a mesh-walled tent it might be for you. A comparably priced REI tent will be harder to pitch and the MSR Hubba Hubba is $60 more for less space and only 2 fewer pounds. This review comes courtesy of John Voorhess, a beard growing warehouseman from Michigan. You can read more of John's work here.